We’re all about nostalgia horror here at Rue Morgue, but why simply watch a classic movie when you can be it? That’s the case with SLASHER, a competitive tabletop RPG board game where players create and inhabit their very own slasher flick. Much like D&D and other role playing games before it, one player in SLASHER acts as the referee or, in this case, the Producer who “creates” the movie, while other players form the cast of characters (or victims) trying to survive. SLASHER consists of a board which can be annotated with dry erase markers (markers included), along with game cards, instruction booklet and a 10 sided die. I talked with SLASHER creator Joshua Burns and he gave me some interesting information pertaining to a cool sounding addition to the new game. This game is intended for 5-13 players (18+ years of age) with game play ranging from 30-60 minutes. SLASHER is available now at $44.99 (USD) with an estimated ship date of November 29, 2017. 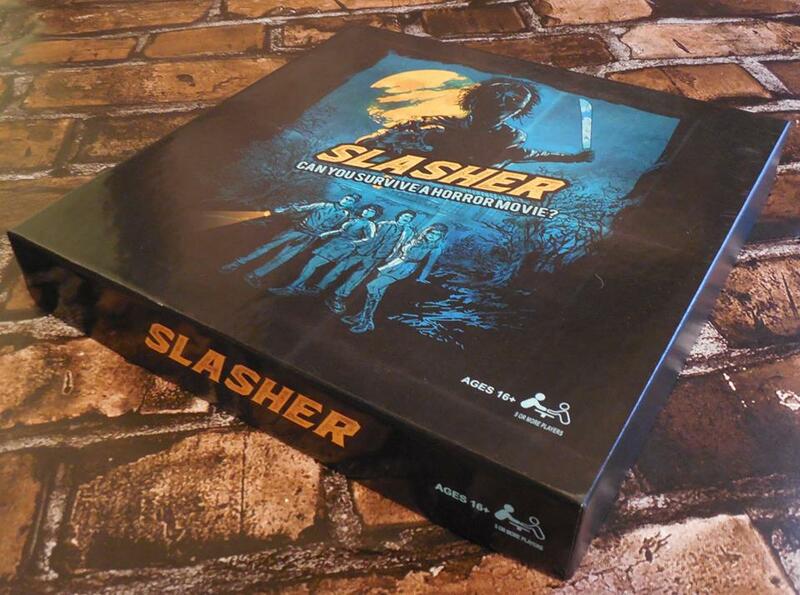 Get your copy of SLASHER now and don’t forget to follow the game’s official FACEBOOK page.